PHOTO BY NICOLE WALBY Seneca County Juvenile and Probate Court Judge Jay Meyer poses for a photo with Jakobi Jackson during the 19th annual Celebrate Youth Luncheon Tuesday afternoon. Youths and adults showcasing the 40 Developmental Assets were recognized Tuesday afternoon during the annual Celebrate Youth Luncheon at Elizabeth Schaefer Auditorium..
“This is a victory lap for youth and adults here today who do so much for the kids in our community,” Seneca County Juvenile and Probate Court Judge Jay Meyer said. “So we celebrate the success of youth and celebrate the growth and development of youth assets in our community,” he said during his keynote speech. “We also celebrate knowledge and truth. Thirty-seven youths and adults were nominated by area schools, organizations and agencies. Among those nominated was Brody Conley, an eighth-grader at Tiffin Middle School. Conley was nominated by Melissa Mellott, a TMS guidance counselor. “It is not uncommon to see Brody taking students under his wing, including inviting a student with autism to sit with him at lunch everyday, motivating fellow teammates in the weight room or encouraging a struggling peer during class,” she wrote. From Old Fort Elementary, Chloe Gillespie was nominated by teacher Stella Lopez. Tiffin City Schools’ guidance counselor Suzanne Reinhart and Krout 2-3 Elementary School teacher Samantha Demmerly nominated Morgan Stahl, 8, who died Oct. 23. Stahl’s family was present to accept the recognition. Reinhart nominated Demmerly as an adult to receive recognition. 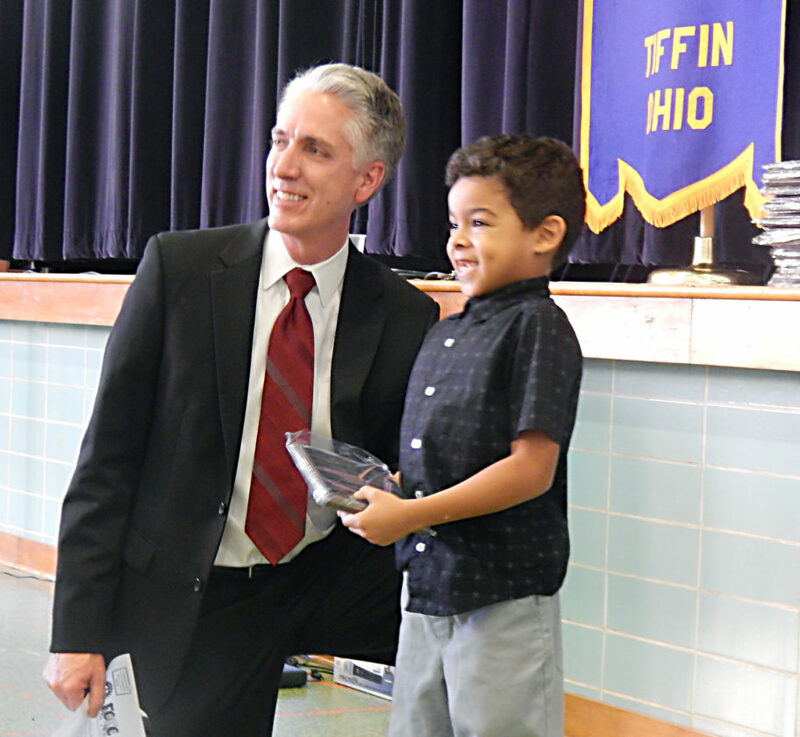 The luncheon was sponsored by Seneca County Family & Children First, Tiffin Rotary Club and Tiffin Optimist Club. St. Wendelin Catholic School — Gabriel Badick and Carlos Rodriqez Jr.
Nobel 4-5 Elementary School — Brayden Boes and Adalynn Schumm. Columbian High School — Andrew Branson and Hailey Cortez. North Central Academy — Ryan Brown and Lea Fetro. Washington K-1 Elementary School — Braden Distel and Jakobi Jackson. Tiffin YMCA — Allison Drown. Old Fort High School — Nicole Fry. Fostoria City Schools — Olivia Harvey and Karma Williams. Seneca East High School — Courtney Heiser, Shayden Heiser and Jazmine Pifher. Tiffin Middle School — Kayla Hook. Fostoria Intermediate Elementary School — Adae’ja Johnson and Peg Ward. Hopewell-Loudon Local Schools — Renae Kapelka. Bridges Community Academy — Haley Lutz. Calvert Catholic Schools — Mara Mangiola and Danielle Park. Family and Children First Council Wraparound Program — Tasha Phillips. Sentinel Career and Technology Center — Ashley Reinhart. Seneca County Opportunity Center — Matthew Schumacher. Tiffin Middle School — Sara Conner. Columbian High School — Gary Hart. In Motion Dance Studio — Jenny Karl. Sentinel Career and Technology Center — Michele Spencer.